Before Hull begins 2017, its year as Capital of Culture, I thought I’d visit Liverpool’s next predecessor. 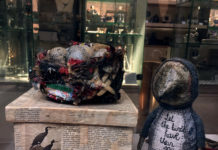 My first stop was Artmarket, a little way out of the centre of Hull, where some of the world’s biggest names have exhibited since the gallery opened in 1999. From Disney to Bob Dylan, it’s a gallery that draws a crowd if nothing else. So with all the scepticism of any scouser in a foreign city, I headed off to Hull, the rival port; the rival City of Culture. And honestly, I was blown away by the energy and excitement at this exhibition launch in the suburbs. 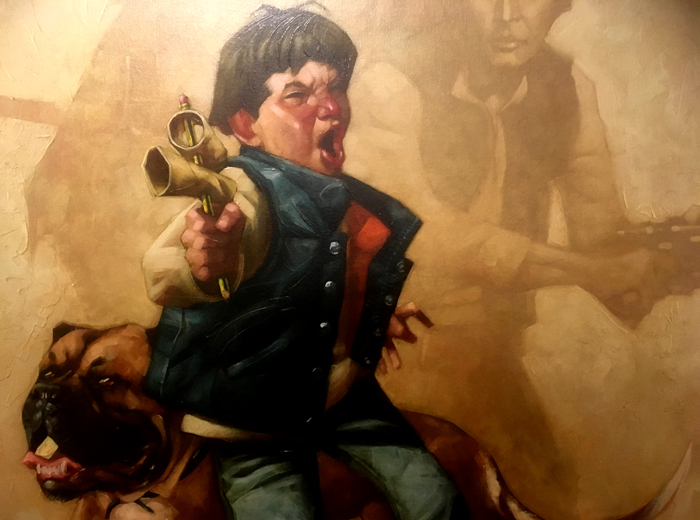 Funnily enough, the exhibition was by an artist you’ll probably be familiar with, Craig Davison. 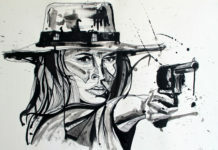 The artist has sold work in Wall to Wall, Met Quarter’s independent sales gallery, and Rennies, on Bold Street. So there’s even a chance you might already own some of this artist work. What really got me, were the parallels between Liverpool and Hull though. 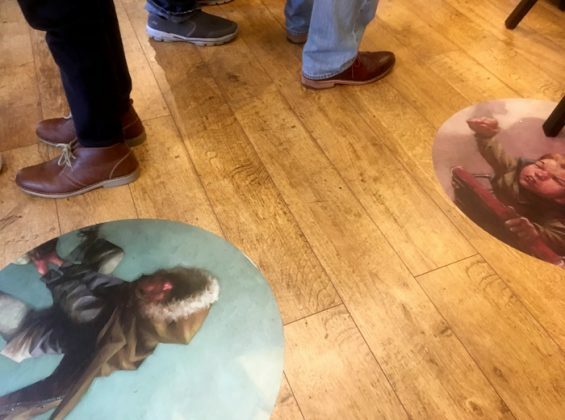 An artist exhibiting very graphic, very accessible, and incredibly enjoyable work in a city that’s finally being recognised as the unlikely cultural hub it is. It sounds almost uncanny to the Liverpool of the early noughties, with iconic images being churned out by artists on an almost weekly basis. The example that really springs to mind is the Mona Lennon, Alex Corina’s twenty-story glorification of Liverpool’s cultural history as a powerful renaissance in visual art, superimposing John Lennon onto the Mona Lisa (if you didn’t gather that from the name). 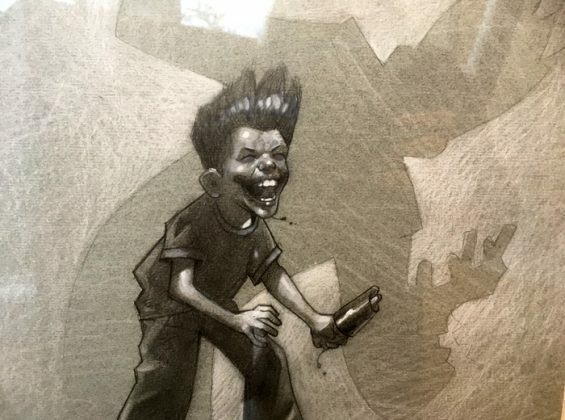 So what can Craig Davison’s comic book interpretations tell us about Hull? Well, if Liverpool was going to be a renaissance, is Hull the new pop art capital of the world? Or am I reading too far into this little jaunt around Hull’s Artmarket? Possibly. 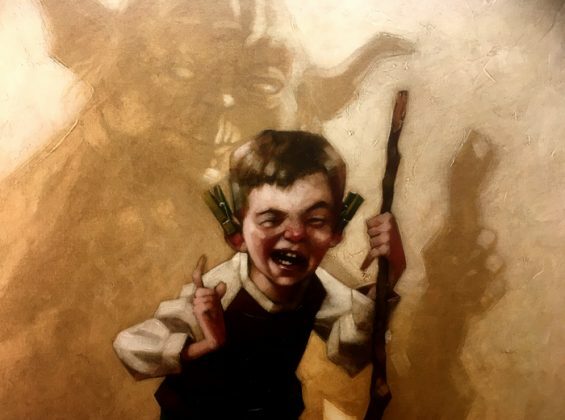 Either way, what I know for certain is that Craig Davison’s work spread a huge smile across my face. His work is a journey back into our own childish dreams. An acceptance of those thoughts and wishes to leave the nine-to-five and just be a pirate, or a superhero, or a jedi. As I found out, his background is actually in commercial figurine sculpture, so that comic book visual didn’t grow from nothing, it was a lifetime in the making. My first thought was that his work was simply playful, or that it was aimed at young comic-book fans. But, while he had an encouraging gathering of kids around him, it was the adult fans who were getting excited over the nostalgia, the fun, the inner-child, the inner-comic-book-geek. The adult fans, who were saying that they just wanted to escape back to that kind of daydream. It’s understandable that this work has that response though. It’s fun, and hopeful and a little invigorating; completely full of invention, interpretation and ideas; but more than all that, it’s open. Every work there just wants to be enjoyed, so enjoy it I did. 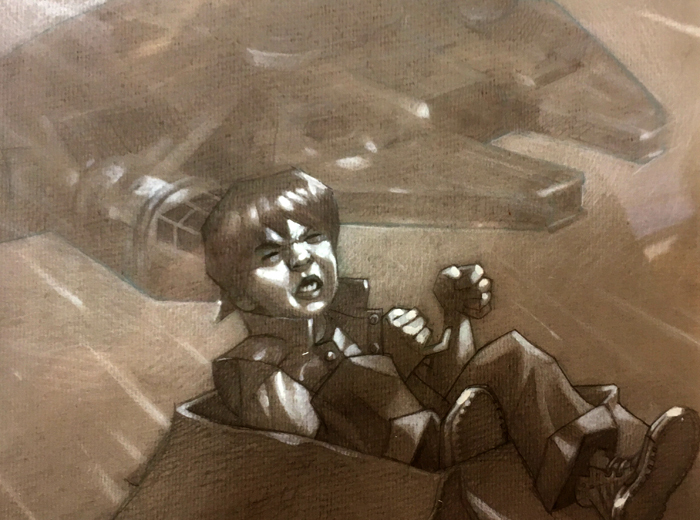 I found myself wandering from painting to painting, dreaming of flying off in my Millennium Falcon made entirely from washing machine box. Everyone did it. A den, a ship, a rocket, a car. Whatever kind of child you were, you did not resist the temptation of a cardboard box. 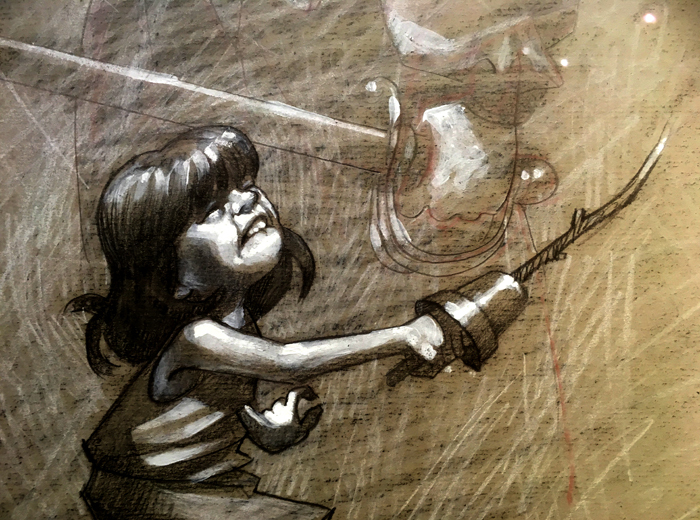 That’s what these paintings tap into, the simple joy of opening up your imagination and escaping the real world. The conversation at the launch was just as open, just as away-in-the-clouds as the children in the paintings themselves. From the Brexit Toblerone to running away with David Hockney, these were just adult versions of dreams of pirates, adult escapisms from the droning talk of work or politics or global affairs. An exhibition where all you needed to talk about was what you were honestly thinking. If anything, the only visitors who wanted to talk about art were the children. Davison clearly has a following, and it doesn’t seem at all limited by age. One young fan had some bones to pick though… there was no Green Lantern, and why were most of the pictures boys? Where were the girls? 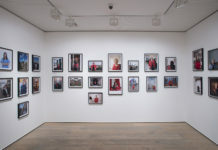 I’m not going to get into the identity politics of superheroes, but if this gallery in Cottingham, Hull, is a barometer for the wider city – which sales galleries very often are – then Hull is going to be a serious follow up from Liverpool’s Capital of Culture celebrations of 2008, and a brilliant precursor to our 2018 anniversary year. 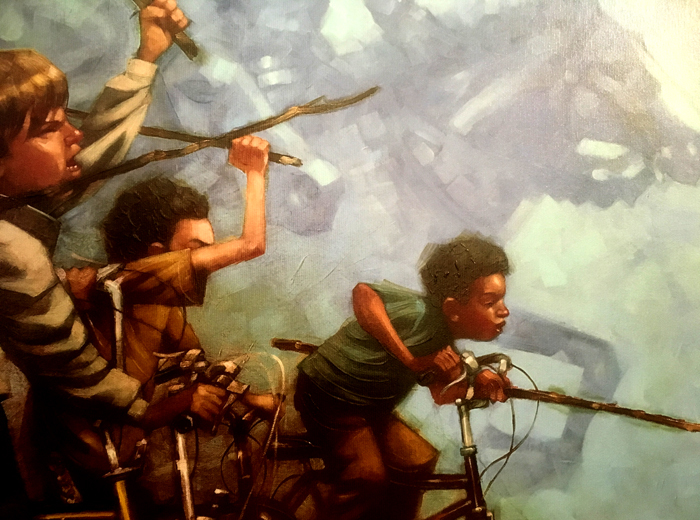 Craig Davison’s show sets an energetic, positive and escapist tone, and that’s what art is for most people, not something that explores political circumstance, or questions its own internal conflict. 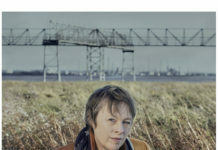 It’s enjoyable to see those questions asked, but in a city that doesn’t yet identify as a cultural centre, now is a brilliant opportunity to see it in its raw state, like stepping back into Liverpool 2007, before confidence set it and the work being produced became global. Hull has a streak for real human questions and some time to show it off. So whether you’re visiting Hull for the galleries, or just visiting, make sure you take stock of this city at a massive point of transition in its history, and reflect on how far Liverpool has come since our own European Capital of Culture success. And head to Cottingham to understand the scale of the impact of their Capital of Culture bid on the suburbs, not just the city centre. 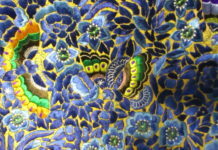 And if you get a chance, pop into Artmarket and with it, your own daydreams.